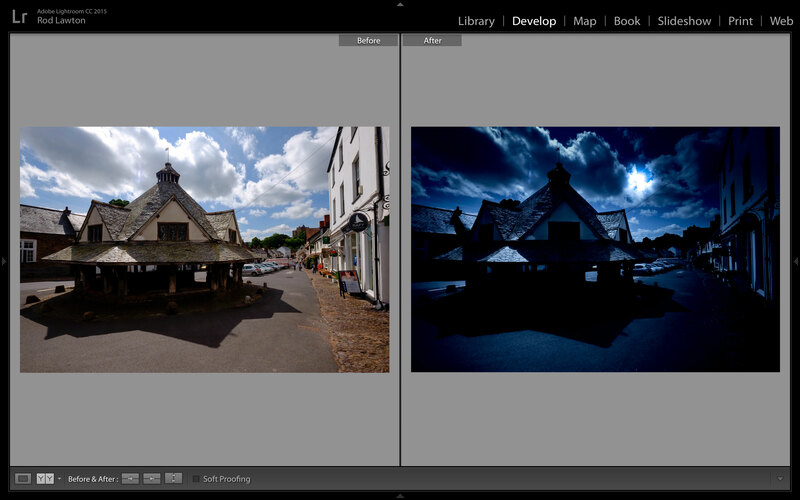 Welcome to part 4 of an 8-part series on Lightroom presets and how they work. To go with this I’ve created 8 free Lightroom presets you can download right now. Click here for a Dropbox link to the presets. You don’t need to have a Dropbox account – just click the ‘Download’ button at the top right. Depending on your browser, the presets will download either as a folder, or as a zip file you have to unzip into a folder. Once you’ve done that, launch Lightroom, open an image in Develop mode and then right-click anywhere in the Presets panel and choose ‘New Folder’. Type in ‘Life after Photoshop’ and hit the ‘Create’ button. Now right-click on the new folder, select ‘Import’ and navigate to the folder where you’ve saved the downloaded presets. You can now select the presets, hit the ‘Import’ button and they’ll appear in the presets folder you’ve created. White balance: This is dragged right back to a low value of just over 2,500K. This gives the picture a strong, blue colour cast reminiscent of moonlight. Actually, this is an illusion. Moonlight is white, just like daylight, but its the reaction of our eyes to the very low light level that makes it appear blue. Exposure: I’ve knocked this right back to -1.50, but with some images you can go even further. It depends on the balance of light and shade in the picture (fake moonlight shots look more realistic if they’re shot in bright sunlight) and the original exposure. Highlights: These have been taken right back to -100 to pull back all possible detail in bright skies. Shadows: These are pulled right back to -100 too. Moonlight appears very contrasty to the naked eye, and this fills in the shadows so they appear a solid – and realistic – black. Saturation: This has been reduced, but completely to zero. In moonlight, it is possible to see some colour with the naked eye, but not too much. This has been achieved with a Radial Filter. 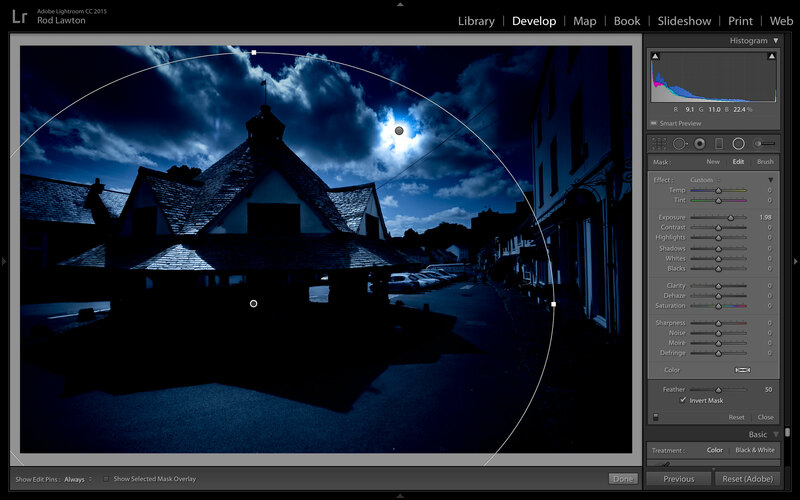 If you select the Radial Filter tool you’ll see two pins on the image – it’s the lower one that produces the area of brightness in the foreground. If it’s in the wrong place for the overall composition and effect, just drag it to a new location. This has been achieved with a second Radial Filter, this time with a maximum +4.00 exposure value and +100 for the Whites value. This produces complete overexposure, and reducing the radius of the filter effect produces the bright ‘moon’. This can be moved around to suit the foreground lighting or to peep behind some clouds in the sky. Or, if you feel it’s adding nothing, you can simply delete it. You are an artist! Thank you very much for this masterpiece. It’ll be a great help for my pictures !!! !